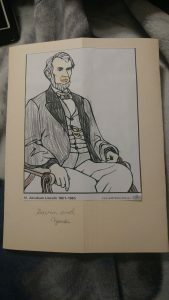 Encyclopedia of Presidents and Their Times | "A Stitch in Time"
As I write that it totally looks like I am saying Lincoln was AT the signing… rather we covered BOTH of these rather interesting topics recently and I figured why not bundle the two together for the blog post? The 2016/2017 school year has had a focus more towards history and the United States of America. It has been a learning experience for students AND teacher. These two topics were the twins’ choice. We started with the Declaration of Independence. Such an important piece of paper. We used a lot of sheets from Education.com HERE. I have to share a rather interesting link passed along by a good friend (and fellow twin mom)… this one looks at what happened to the signers of the Declaration of Independence AFTER they signed at USHistory.org. They truly risked life and limb to do so, as they were really committing treason against the crown and King of England. The twins spent quite a bit of time picking out some interesting people to put into our hand out and report folder. Abraham Lincoln was a huge success. The boys have always had a vague interest in him with his distinctive look and hat that he apparently kept things in. 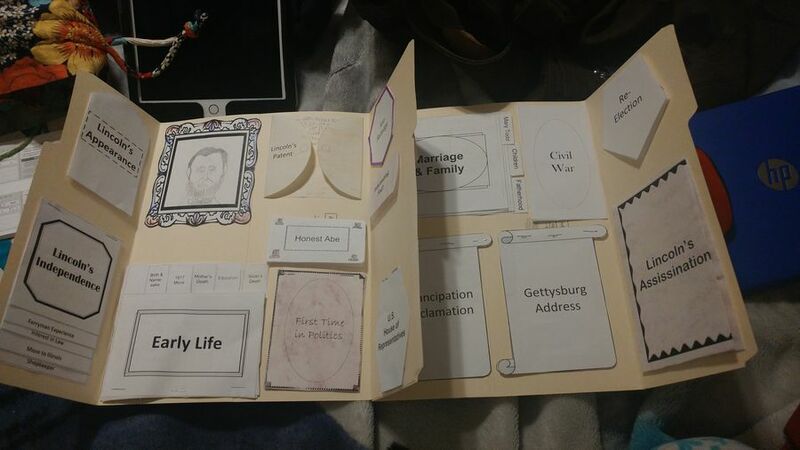 Our final conclusion was that Abraham Lincoln was a great president, one of the best, BUT his life seemed rather miserable. Granted there was a shorter life expectancy and much higher general death rate but… wow… so much sadness, death and difficulty in the life of someone who now is seen as such an inspirational figure. We ended up choosing a labook set up that was not free, but it was well worth it. We went with a Knowledge Box product you can find for 5.00 (US) HERE. They have a study guide, lapbook and clear instructions. You can check out my Education.com collection of worksheets HERE. Activity Village has some very helpful worksheets as well (sadly these are all pay for sites to get the full experience, but we have found it well worth it.) HERE. You can do a helpful search on EnchantedLearning as well to get these pages HERE. These were wonderful topics for us to cover one after the other. We really haven’t spent as much time on US history as we have researching countries from other parts of the world. I can’t say we will stick with these kind of topics, but the more we can cover and find interest in the better. From Lincoln it is a quick jump to Martin Luther King Jr. and Rosa Parks. I will share our resources from these topics to. From slavery to a country declaring independence, to a man realizing that a whole group of people also deserved their independence… then to a man who made sure that it was realized that segregation is wrong and a woman who helped courageously help attain that dream. Not bad for taking topics the kids chose themselves!